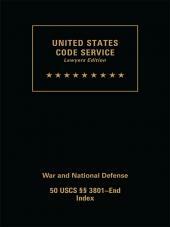 Using the exact language of Congress, USCS gives you an annotated, comprehensive reference to all 50 U.S. Code titles, the Constitution and selected rules of federal courts and administrative agencies. USCS Mini-Sets are designed to be kept in your office. No more frustrating searches for misplaced library copies. Broader coverage - USCS casenotes cover decisions appearing in specialty reports such as CCH and BNA and more agency opinions than any other annotated code. 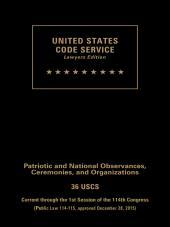 Selective case annotations - USCS casenotes only cover decisions that offer actual interpretation, construction or application of a section or court rule so you don't waste time reviewing meaningless annotations. 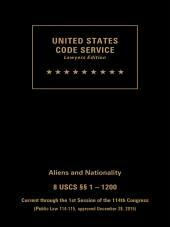 Cross-references to Authoritative Matthew Bender Treatises - USCS' exclusive cross-references to Nimmer on Copyright, Weinstein's Federal Evidence, Second Edition and other leading treatises provide links to expert analysis you can't find anywhere else.